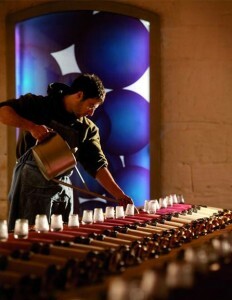 Each week, as regular readers know, we pose a series of questions to a winemaker. 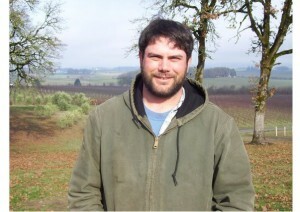 This week, we’re featuring Dan Rinke, the vineyard manager and winemaker at Johan Vineyards in the Willamette Valley. I first tasted the wines of Johan Vineyards last summer. I was in Portland visiting a good friend who knew of my appreciation for Oregon Pinot Noir, especially the ones that are better described as elegant and nuanced rather than simply powerful. When I tasted the wines from Johan, I was instantly impressed. 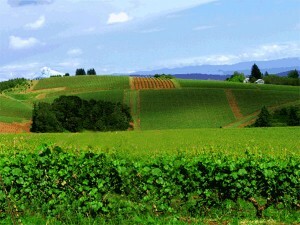 Johan Vineyards is located in the Van Duzer Corridor, which is south of the McMinnville AVA and slightly west of the Eola-Amity AVA. In this part of the Willamette Valley, there is a major cooling effect thanks to a gap in the coastal range. Here, wind will shoot down and can create swings of nearly 30 degrees between daytime and nighttime temperatures! A Wisconsin native, Dan’s first jobs in the wine industry were in Milwaukee, where he worked first in the restaurant industry and then selling wine. In 2002, Dan moved to California as he wanted to dive into the deep end of the industry — so he pursued a degree in viticulture from Fresno State University. After graduation, Dan landed a position at Domaine Alfred in California’s Central Coast. (Today, that winery is known as Chamisal Vineyards.) Two years later, he joined Rhys Vineyards, which was just getting its start. Some critics have been more cautious with their praise — Chris Kissack wrote that “anyone who claims 2010 is another Vintage of the Century is… far wide of the mark.” — but virtually everyone agrees that the wines are extremely good. As a result, the futures campaign has given us some of the highest prices we’ve ever seen for young Bordeaux. In recent years, price has been the most important — and prevalent — question when it comes to Bordeaux. For those of us with budgets, is it possible to justify the prices for, say, Leoville Las Cases, Ducru-Beaucalliou, or Cos d’Estournel? Just five years ago, all those wines could be found for less than $100. In 2010, each is being released at $250 or more! So while I’d love to have a deep cellar of young Bordeaux to grow old with, it is extremely hard at the prices we now see. When it comes to the First Growths, it’s hard to imagine anyone but an oligarch being able to afford such wines! Price and praise are only part of the narrative, though. Considering that the 2010s are still just babies, it’s worth looking at the most important factor in what the vintage will yield: mother nature. In Bordeaux, the only constant was inconsistency. There was a very cold winter, good amounts of rain in both March and June, heat spikes in April and May, some drought conditions throughout the summer, and then long and cool August. Just reading that sentence is enough to make your head spin! Add the coulure and millerandage that many vignerons experienced, and it’s hard to imagine how anyone could produce delicious wines — much less the wines that so many critics have hyped. Vintners credit two factors for saving the vintage. First, thanks to high water levels in the ground and few sustained heat spikes, most vineyards were able to survive the drought. Second, the cooler weather in August also allowed the grapes to retain good acidity. Overall, the wines I tasted displayed structure and richness. In some cases, the tannins were punishing, even for young Bordeaux. 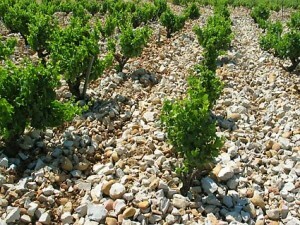 On the Left Bank, Pauillac and St. Julien showed the best — showing off their terroir and achieving serious heights. Margaux was a disappointment. The wines were very good, to be sure, but I was expecting something tremendous. The Right Bank showed well on the whole, though the oak on some of the wines from Saint-Émilion was too noticeable. Across all the appellations, the wines were more variable than I expected. While there were some stunning wines, too many suffered from a real thinness on the mid-palate that raised some concerns about aging. And I have to wonder if the tannins will outlast the fruit on some of the wines. A vineyard in the Hunter Valley. From Wikimedia. It almost seems as though the Australian wine market has become the modern equivalent of the tulip craze. Sales have drastically decreased – from 2010 to 2011, sales of Australian wine within the United States dropped 19%. Aussies regularly tell me, though, that the Australian consumed in the United States is not what’s consumed at home. To explore that assertion, I explored the Langton’s Guide, which is generally regarded as Australia’s top rater of domestic wines (much like Gambero Rosso in Italy). While there are some familiar names, the Langton’s Guide is dominated by wines that are either difficult to come across in the States or completely nonexistent. Part of the problem is Australia’s general brand perception in the United States. When customers come into Binny’s Beverage Depot (where I work as a wine specialist) asking for funny names and labels, I invariably send them to the Australian section. They’ll undoubtedly find what they’re looking for – and won’t have to spend much. In the United States, Australian wine has become defined by brands like Yellow Tail, Little Penguin, Marquis Phillips, and Molly Dooker — overblown, over fruity, overripe, and under $20. This false impression has distorted the Australian wine market in the United States. A few years ago, I would regularly see customers buying Australian wines over $20. These days, though, it’s very difficult to sell such wines. While the economic downturn may be partly responsible for this trend, I haven’t noticed a similar dip in other high-end wines from around the world. I will fully admit to not completely enjoying most of the Australian wines I’ve tried in the past few years. While there was a point during which I greatly enjoyed big Australian wines, my palate has shifted – huge fruit with low acidity just doesn’t provide me much joy any more. Still, I’ve known that there are good wines out there that would speak of Australia. Australian reds should show more ripeness than would expect from wines elsewhere in the world. This can be attractive when the wines don’t come off as over the top. Recently, I attended a trade tasting in Chicago where several different producers were pouring. There were some familiar names — Yalumba, Henschke, and Jim Barry, to name a few – and some new ones, like Vasse Felix and Giaconda Warner. This tasting was a very nice look at some Australian wines that, on the whole, weren’t overdone. While it was a bit of a mixed bag, there were some really good wines that I’d certainly enjoy having again. It was valuable to taste through many wines that I typically wouldn’t get the chance to drink, or even think of drinking. 2007 Oregon Pinot: The Ugly Duckling? For just about 170 years, we have had Hans Christian Anderson’s Ugly Duckling. We’re all familiar with the tale: A tiny, unattractive duck is regularly mistreated by those around him — until he one day matures into a beautiful swan. While the 2007 vintage for Oregon Pinot Noir isn’t quite a beautiful swan, it too suffered from ridicule in its youth — and was widely considered a disaster. When released, critics from almost every major publication panned the wines, as did many drinkers on message boards. Today, though, it’s obvious that the vintage has resulted in some exceptional wines, especially for those who prefer more feminine Pinots. So in many ways, Oregon’s 2007 vintage parallels the story of the Ugly Duckling. The vintage conditions were far from ideal. It started cool and dry. And while the weather never warmed, the rain came in buckets — ultimately, the vintage was affected by significant late-September and early-October rains. While rain in Oregon is a fact of life, especially later in the season, the rains made picking decisions especially challenging. It also presented a quandary for many winemakers. Deciding whether to pick early — and risk green flavors — or wait out the rains and hope for ripeness was an impossible decision. Many producers who I’ve spoken with told me how difficult they found this decision. And from my tastings, I’ve concluded that the producers who have been around the longest performed the best. In tasting nearly 100 Oregon Pinots from the 2007 vintage (from about 60 producers), I have found that the wines are in a great spot. They certainly provide a different experience than most domestic Pinots, but if your palate favors more elegant, lighter wines, then it’s hard to go wrong. Many offer tremendous values, as many retailers who still have 2007 Oregon Pinots on their shelves are dropping prices dramatically. As for whether the wines will age, it’s impossible to say. In recent months, I’ve found that the wines continue to improve — but they’re certainly drinking well right now. History does suggest that these wines could surprise people with their aging — as they’re certainly surprising people now. While this is normally a wine blog, it’s impossible to ignore the momentum of America’s craft beer movement. Here in Chicago, we’ve seen a major boom, with new producers and brewpubs opening regularly. One of our brewpubs — Revolution Brewing in Logan Square — recently became a full-fledged commercial producer. Revolution opened in February of 2010 and I’ve been visiting frequently ever since. Late last month, the company opened a full production facility complete with a tap room, where the owners hope to always serve 12 of their own brews on tap. The facility is massive, clocking in at around 35,000 square feet. Major brewpubs aren’t new, of course. Chicago’s “Original Brewpub” is Goose Island’s Clybourn Brewery, which traces its roots to 1988. Piece Brewery and Pizzeria on North Avenue and Haymarket Pub in the West Loop community are two other popular destinations. While Piece and Goose Island make great beer, neither are completely focused the brewpub experience. Goose Island is often crammed, as it fills up fast. Piece is mainly focused on providing tasty beer to accompany its New Haven-style pizza. Haymarket is closest to Revolution, but it doesn’t give the feel that I want from a brewpub, although I do enjoy going there. While Haymarket gives off more of a sports bar vibe, Revolution wants its customers to focus on the beer. Revolution has TVs, but the sound is usually turned off. Put simply, Revolution is very much about the beer. The food, while delicious, is secondary. 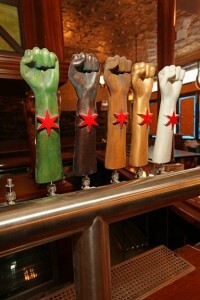 In just two years, Revolution has arguably become Chicago’s top beer destination. It’s one of those places that you need to visit if you fashion yourself a craft beer fan. This isn’t to say that all the beers are amazing — but almost everything is consistently very good. Indeed, Revolution recently won two gold medals at the 2012 World Beer Cup. The Cross of Gold won gold in the English-Style Summer Ale category, and Rise Up Stout won the American-Style Stout category. Revolution has a solid stable of 5 beers available all year, another 3 or 4 seasonal brews at any given time, and many short run brews. The brewery doesn’t focus on one specific style — its offerings regularly include German, Belgian, English, and American style beers. Revolution’s “Barrel Aged” program is the highlight of its portfolio. For the most part, these are one-offs — and its been fascinating to see how wine, bourbon, and whiskey barrels influence a beer. While most of the barrel-aged beers have been stouts, Revolution has included Scotch Ales, Barleywines, and Rye beers in the program. All told, Revolution releases about 35 beers annually. “Elegance defined” is how I can best describe the wonderful wines of Bruno Giacosa. 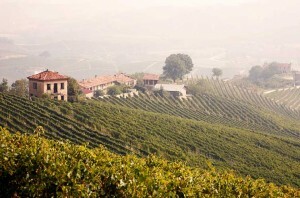 For mighty good reason, his wines are some of the most sought after from Piedmont. The wines always leave me wanting more — and I think about them for days after I taste them. Though it may seem like a sermon, if one considers him- or herself a fan of Nebbiolo and wines from Piedmont, then he or she must taste these iconic wines. There are precious few icons in the wine world. Yes, there are people who make their stamp through wonderful wines, but few really deserve such a lofty description. Bruno Giacosa, however, does. With a sullen face that has been beaten through time, he embodies all that’s good about traditional Barolo and Barbaresco. His wines epitomize what Nebbiolo is all about. They show the more feminine side of the grape and can bring an enthusiast the kind of moments that only great Nebbiolo can. These are wines that need a lot of time and are very coarse in their youth, but can blossom into something splendid with age. 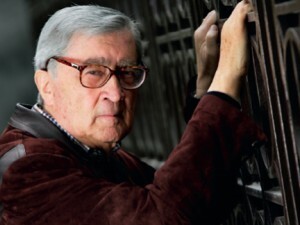 Bruno Giacosa was born in 1929. His father and grandfather were grape growers and sold most of their wines in demijohn. Bruno is not an enologist by trade — he learned by working under his father and grandfather, watching their hands-off style and recognizing that low yields were the hallmark of their wines. He still feels that wines were better made back then. Bruno produced his first eponymous wine in 1961 and began bottling single vineyard Barolos and Barbarescos in 1967. In 1982, he purchased his first vineyards. This quickly created confusion, so in 1996, he decided to divide his wines into two different “brands.” Under the Casa Vinicola Bruno Giacosa label, he bottles wines he produces from purchased grapes. Under the Azienda Agricola Faletto di Giacosa label, he bottles wines from the vineyards he owns. In total, his properties cover 37 acres of land. Giacosa’s commitment to quality is legendary. In 2006, he suffered a stroke — so couldn’t work in the vineyards that year. Although it was a tremendous vintage for Piedmont, he chose to sell off the wines from his own vineyards as bulk wine that year. This was a shocking move, but it did highlight the care and respect he has for his wines. This dedication comes through in the wines. While most of my experience is with young Giacosas, I have been fortunate enough to taste some older bottles — and thus get a glimpse of what they can become with age. Châteauneuf-du-Pape has done it yet again. Though it’s starting to sound like a broken record, 2010 looks to be another wonderful vintage from the region. 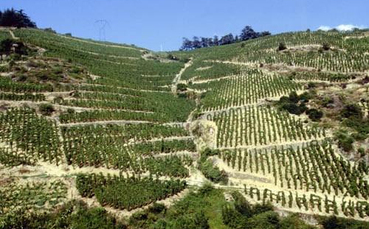 This marks the 10th time since 1998 that the Southern Rhone has produced wines of remarkable quality. Only 2002 and 2008 were disappointments with 2003 being variable. All the vintages are different, of course. The wines from 2007 and 2009 are quite lush, all marked by generous fruit. They’re structured, but have generally come across as more fruitful wines that provide straightforward, hedonistic joy. For me, some of 2007 and 2009 CdPs have had more in common with New World wines than what’s traditionally associated with the Southern Rhone. They’re delicious, to be sure, but haven’t provided the real thrills that Châteauneuf-du-Pape can bring. The 2010 vintage appears to be right up my alley. I have had the chance to sample around 30 different wines already, and plan on sampling more as they come in. Based on my sampling, this vintage will be marked by its structure along with real nice Provençal spice notes. The bottled wines remind me of 2005, another vintage that is meant for the long haul. The 2010s aren’t quite as dark, but they do possess good fruit and palate thrashing tannins. I’ve also been impressed with the depth of the 2010s I’ve sampled — they’re not as sleek and upfront as many of the 2009s and 2007s. Even the more fruit-forward 2010s have a real nice savory quality. I just didn’t want to stop smelling the 2010s I’ve sampled thus far. It’s amazing that this vintage even happened. The winter was very wet and the spring was both wet and cool. This was such a problem that many Grenache vines experienced shatter before the end of July! Most vintners assumed that they’d have a small harvest, simply salvaging what they could. The summer was amazingly dry, though. In fact, July and August 2010 were marked by the driest recorded rainfall in those months since 1871! These dry months likely saved the vintage. Since the soil had plenty of water, the vines were able to handle the lack of rain — and the grapes were able to catch up. Most 2010 Châteauneuf-du-Pape will make it to the retail shelves by late fall. While it’s hard to predict how the big publications will review this vintage, be sure to get on these wines before the scores start to come in, or you may miss out.